CUP SIZE Max. 110 mm diameter plastic cups. Photocell to control for filling if there is any cup or not. Thanks to this photocell system, the machine would not waste the product. If there is no cups, then the machine would not fill. Photocell control for the aluminum lids if there is no cup or not, thanks to this system if there is no cup then machine would not waste the aluminum lids. 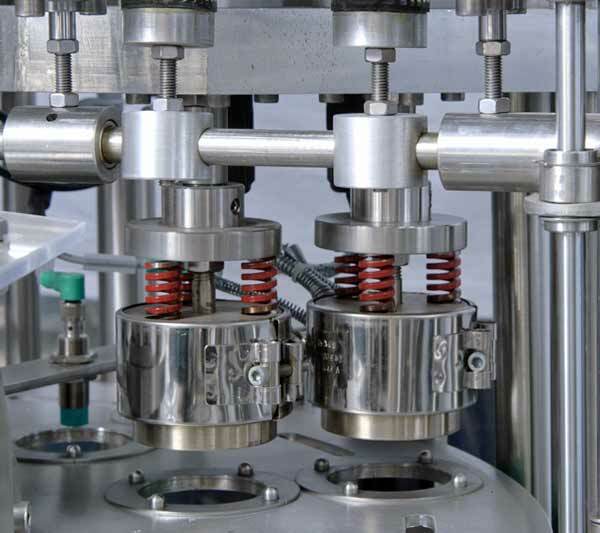 Photocell control for the sealing, thanks to this system, it checks if there is any aluminum lids on the cups or not, if there is no lids on the cups then the machine the cups will not reach the sealing unit and the machine stops. 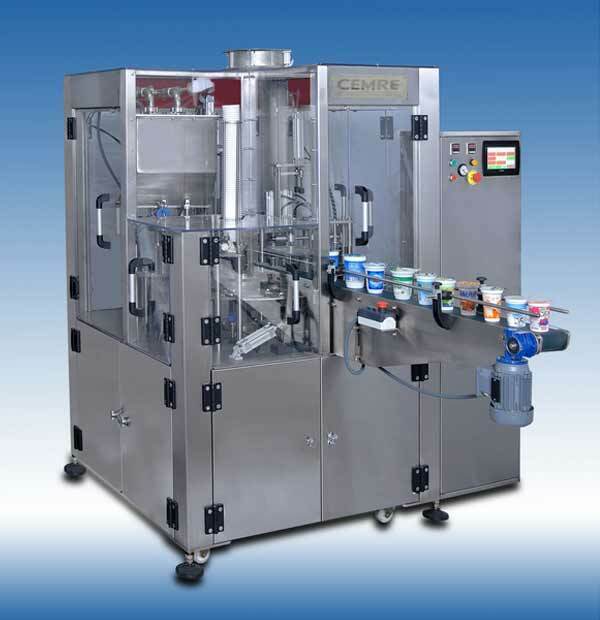 Which products can fill with our Cem-2-R Model Yogurt Jar filler ? 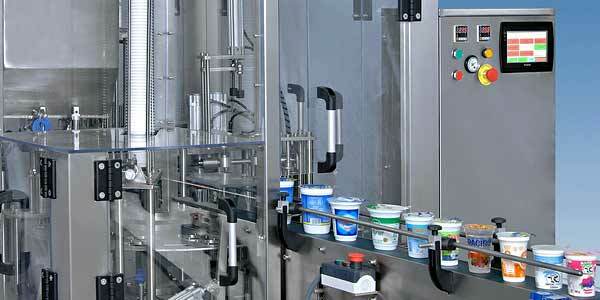 Which additional options are possible on the yoghurt cup filling sealing machine?